Released earlier this year, the DDJ-1000 is the first Pioneer DJcontroller designed specifically for the Rekordbox software’s Performance Mode. Previous Rekordbox controller offerings like (DDJ-RB/R/X/Z) were essentially re-purposed versions of the classic Serato-designed line of controllers. 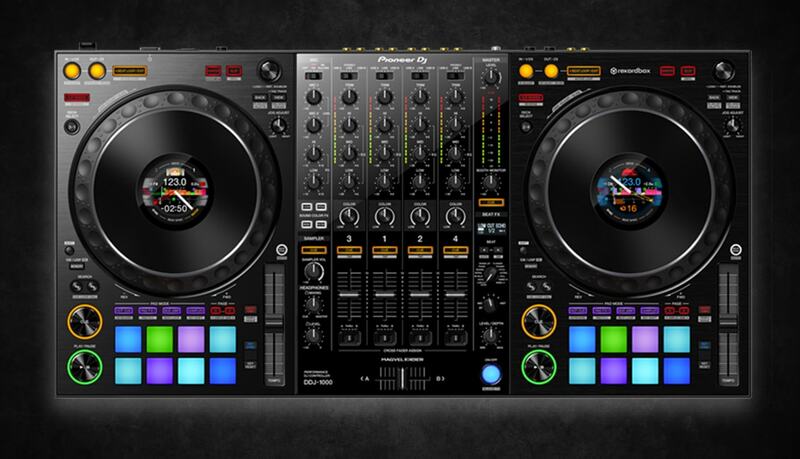 While not deviating hugely from the standard style of controllers these days, the biggest draw of this controller is the full CDJ2000NXS2 style, pressure sensitive platters, and a mini DJM-900 mixer, complete with a full effects section. Undoubtedly the stars of this controller, these platters feel lifted directly from the top-of-the-line CDJ 2000NXS line. While the jog displays within the platters offer useful information (BPM, waveforms, position indicators, phrasing count, deck assignment), it’s the feel of the platters that really shines. If you’re unfamiliar with CDJ platters, the pressure sensitive design is far superior to the capacitive touch platters you find on most digital DJ controllers. 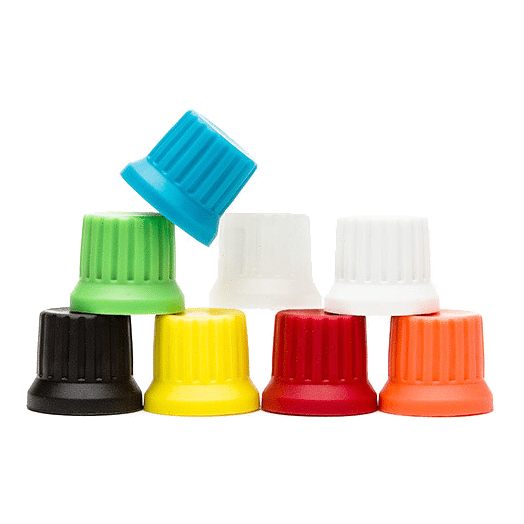 Aside from a better feel and response, it also eliminates a lot of errors due to accidental touches. Adding tension adjust on the DDJ-1000’s platters is another welcome feature. This should be standard on every non-motorized platter on the market. This adjustment is especially useful for DJs looking to scratch or perform turntablism techniques on the controller. 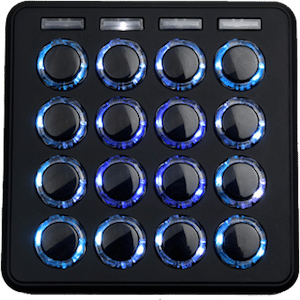 While the controller is built from a plastic base with some metal face plates on the platter areas, it is very solidly built, sporting the typical Pioneer DJ build quality. There’s a heft and solidness to the controller that just feels reassuring. While not as solid feeling as some controllers with all-metal designs, the DDJ-1000 doesn’t feel cheap or flimsy – it feels comparable to even the highest end Pioneer DJ gear. The pots feel incredibly solid, the faders have the typical Pioneer feel, and just about everything feels like it used parts taken directly from the top-of-the-line CDJ/DJM gear. Sporting Pioneer DJ’s Magvel, no-contact fader technology, I can say without a doubt, this is the best feeling crossfader I’ve ever used on a controller. Even compared to other controllers offering the same fader tech (like the SZ), the fader used in the DDJ-1000 feels about as close to butter as possible. Unlike the “clickier” feel of the Magvel faders found on SZ or even the DJM-900NXS2s, the fader installed on the DDJ-1000 feels almost identical to the Magvel Pro fader found on the DJM-S9 battle mixer. That said, it does lack the extreme customization options on the S9 (tension and independent curve adjusts for the left and right side). As the DJM-S9 is pretty much the defacto scratch/hip hop mixer these days, having this level of quality is definitely a good thing. 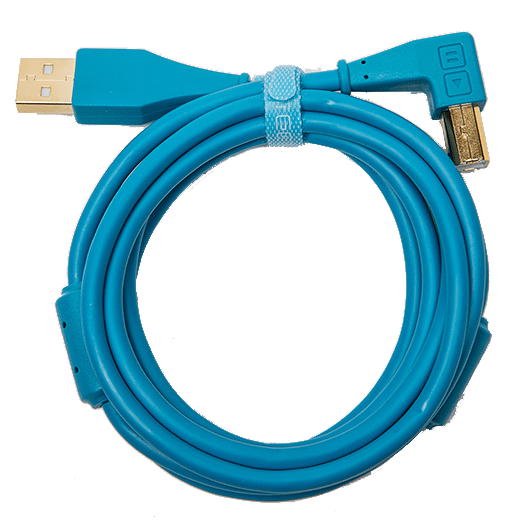 The easy way to adjust cut lag (in the software preferences) is a welcome feature vs having to root around in the Utility mode that other controllers offer. The DDJ-1000 offers 18 different hardware effects to choose from – 4 color effects, 12 beat effects, and 2 Mobius effects (which are essentially Shepard Tone generators). The functionality, implementation, and layout is exactly like a standard 4-channel DJM mixer. 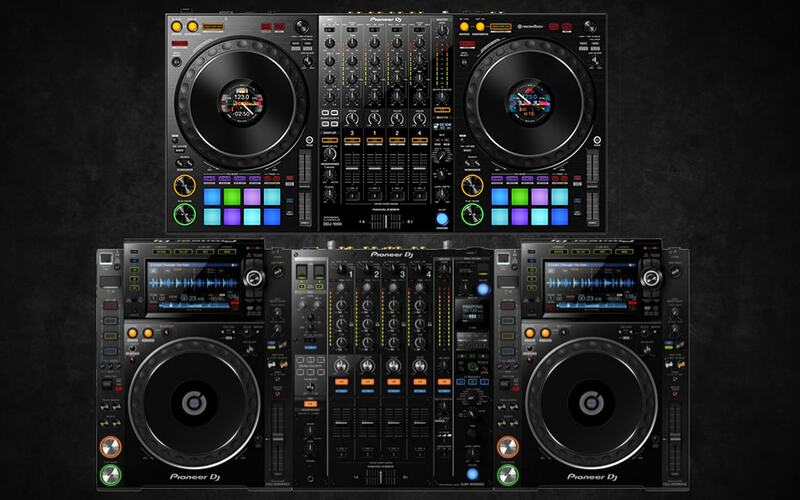 The workflow is identical and consistent to the Pioneer DJ way of doing things. 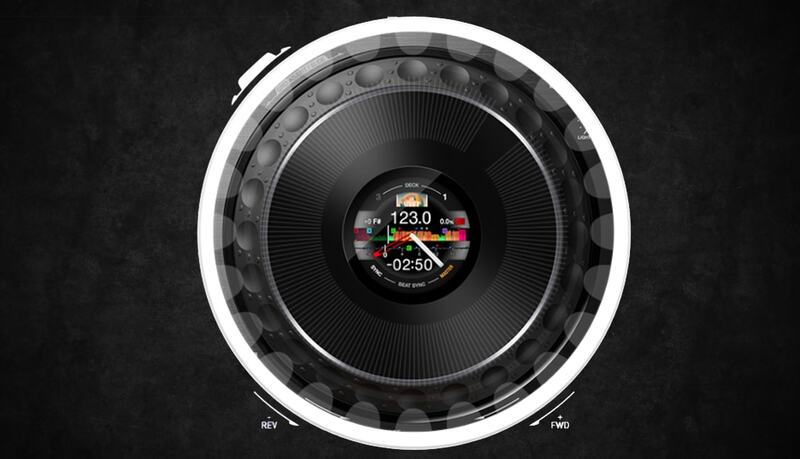 Since these effects are entirely hardware, they can be used on any audio source – CDJs, vinyl, even the microphone input. The effects sound great, are very functional, and users can get very deep into using the effects creatively. Add the myriad of Rekordbox software effects, any effects junkies will be in heaven with all the combinations available to them. The only minus I see is the lack of crossfader assignment on channel selector – which is my de-facto effects assignment when I play on a DJM-900. While this could be a detractor for those that tend to dislike Pioneer DJ design choices and aesthetics, you can’t say they haven’t been consistent in their choices. The DDJ-1000 mirrors CDJ/DJM design and feel closer than any controller on the market – even the standalone XDJ-RX2 controllers. The mixer section is essentially a stripped-down DJM-900, and the platters and pitch sliders are taken directly off the highest end CDJ-2000NXS2s. Those looking for a lower cost controller to train familiarity with the Pioneer DJ style setups, need look no further than the DDJ-1000 – although there won’t be the all-important standalone mode that most people covet. Nice, long pitch sliders leads to better resolution of pitch control. I’m surprised that more controllers don’t offer this outside of their highest end options. While this is rapidly becoming the standard for all higher end controllers, it’s nice to see all the major output offerings on this controller. XLR, RCA, and 1/4” TRS outputs are all available, with the 1/4” outputs having a discrete volume control for a booth monitor. I have long found most of Pioneer DJ’s offerings sounding, at best, acceptable. I always preferred the sound of other companies’ offerings – especially in regards to controller soundcards. Being able to A/B test the DDJ-1000 against some other controllers and mixers on the market, I found a noticeable improvement in the DDJ-1000 sound quality. It’s not clear if this is a result of the internals in the controller, a better sound card or DACs, the difference in processing in Rekordbox vs other software, or all the above. That said, I did like the sound quality of the DDJ-1000 over a lot of other Pioneer DJ controllers available. For my taste, the highs are still a little too sharp and the bass is a little thinner compared to other hardware, but overall I think the DDJ-1000 is one of the better offerings in terms of sound quality from Pioneer DJ. Don’t get me wrong, this isn’t really a knock on the Rekordbox DJ software; for the short amount of time it’s been on the market, it is a surprisingly robust DJ suite with tons of features, advantages, and customizations you can do. For me, a lot of my workflow is centered around Serato’s design decisions and features. Learning new software is a commitment. Techniques and tasks that would be second nature and all but muscle memory in one software need to be completely re-learned when switching to a new suite, and some features are simply unavailable. 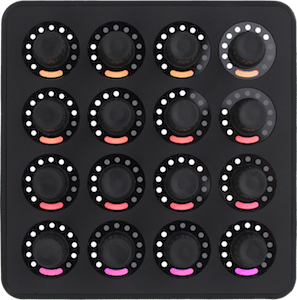 This is, of course, countered by a host of new and exciting features that can be incorporated into DJing, but if one needs to change their workflow and organization systems, it could be a deal breaker for many. If this controller became Serato compatible, it would be – for me – one of the best controllers on the market. Unfortunately, it is specifically a Rekordbox DJ controller. This is as much an indictment of Serato’s business philosophy of keeping a closed system as Pioneer DJ’s philosophy of locking the controller to its own software. The chances of seeing the controller be compatible with Serato is pretty slim. 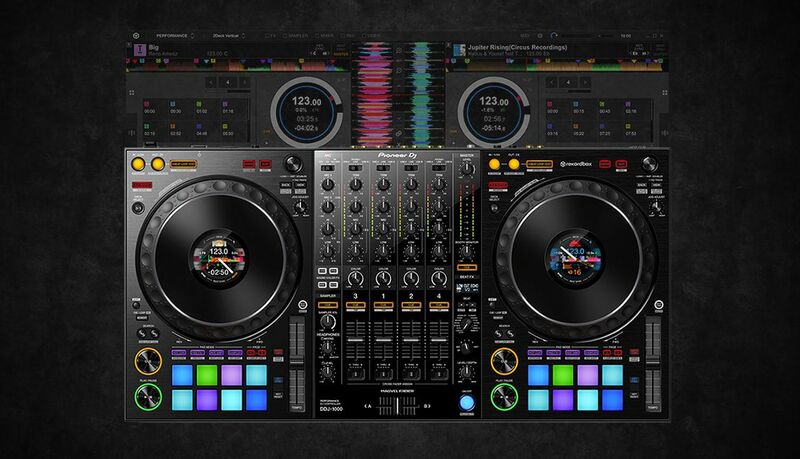 There will likely be Traktor mappings available, although you will likely not get the full use of the platter screen. Generally, the platters feel great for scratch, and having tension adjust goes a long way in helping out the platter feel. I did notice a problem with the sound breaking up during ultra-slow drags – even with the key lock/master tempo turned off. At first, I thought it was a problem with the scratching algorithm in Rekordbox, but testing the same thing in DVS mode did not result in the same issue. It appears it is a direct problem with the platter itself. It’s not very noticeable and only really happens with very slow scratches, but it was enough for me to take notice when I heard it. Larger Size: This is a personal thing, but I do not like giant 4-channel controllers that take up tons of space and require a huge case/bag to transport. The dimensions are roughly the same as an SX2 though, so that’s a fairly standard controller size these days. Not A Revolutionary Layout: As mentioned, this controller is the closest thing you’ll get get to a standard DJM/CDJ layout. This is going to be a major pro for most, there are people out there that simply don’t like the Pioneer DJ philosophy behind control scheme and design – I’m one of them. If you’re not a fan of Pioneer DJ’s layout or design decisions, know that the DDJ-1000 won’t change your mind. Shift Button Size: it’s rather small and hard to see. Hey, this is the nitpicks section right? In my opinion, from a pure hardware perspective, this is the best all-in-one controller on the market. It feels great, is very well-built, it sounds good, looks impressive, and is the closest thing to a full CDJ/DJM setup that you will find in an all-in-one controller. The biggest issue I have with the controller has nothing to do with hardware and everything to do with Rekordbox. Rekordbox is not a bad program – it’s fully featured, runs pretty smoothly, offers a host of customization options, and gives you that all-important unified library for those that need to switch between standalone CDJs and laptop driven gigs. The big problem for me is jumping to new software after becoming fully proficient on another platform. Things behave differently, features that you get used to on another software are missing, and workflow that has essentially become muscle memory has to be completely un-learned. When I was in the mix, everything was great – it was a lot of fun to play on and the controller is simply a joy to use. 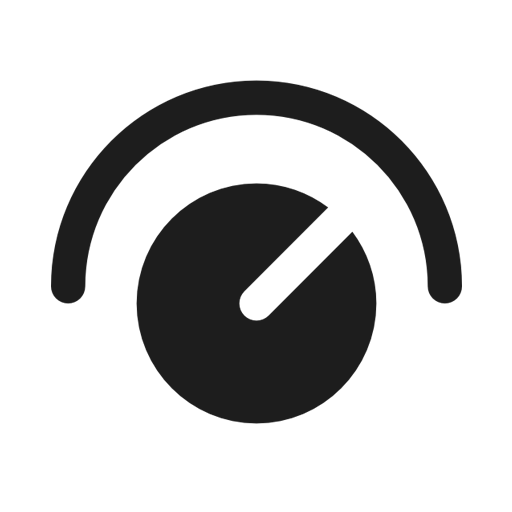 It’s just that everything else felt difficult – from library management to searching to the integration with software like iTunes – it just didn’t feel *right* to me – a long time Serato user. 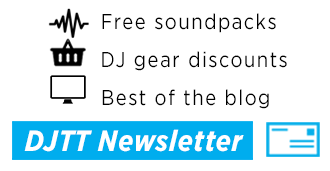 For longtime users of one software (I’ve been a Serato user for over 10 years), the effort going into learning something brand new might not be worth it – even for those sweet, sweet platters. But for those still trying to decide on a DJ suite, those simply looking for a change, those that want the closest thing to a full CDJ/DJM setup, or those who are attracted to the unified library perk of being entirely within the Rekordbox system, this controller feels like a no brainer.